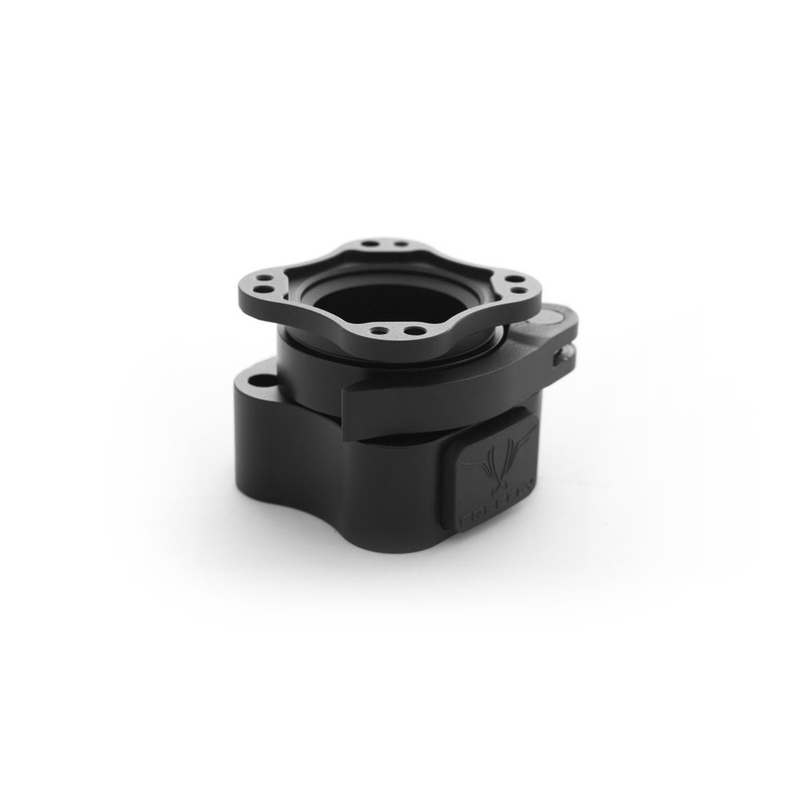 The Toad In The Hole Quick Release is a sleek, lightweight, low-profile quick release unit, which provides an easy mount and release solution for your MoVI. 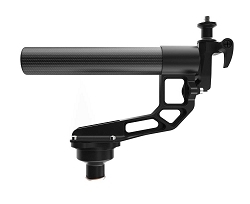 It allows the operator to remove the MoVI from the handle assembly and attach to any other method of filming carrier, such as a crane, jib, or car mount (with a Toad installed) in a matter of seconds. Fiddling around with alignment is not required when engaging the Quick Release - just attach and rotate to the desired angle (from 0-360°) for shooting. 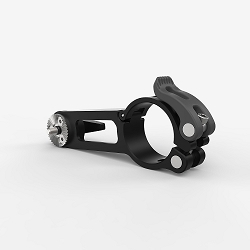 The Quick Release uses a clamp to secure the MoVI. 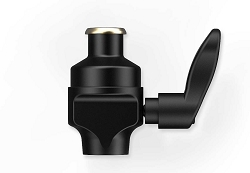 This clamp, along with the secondary release button, are used to release the MoVI. 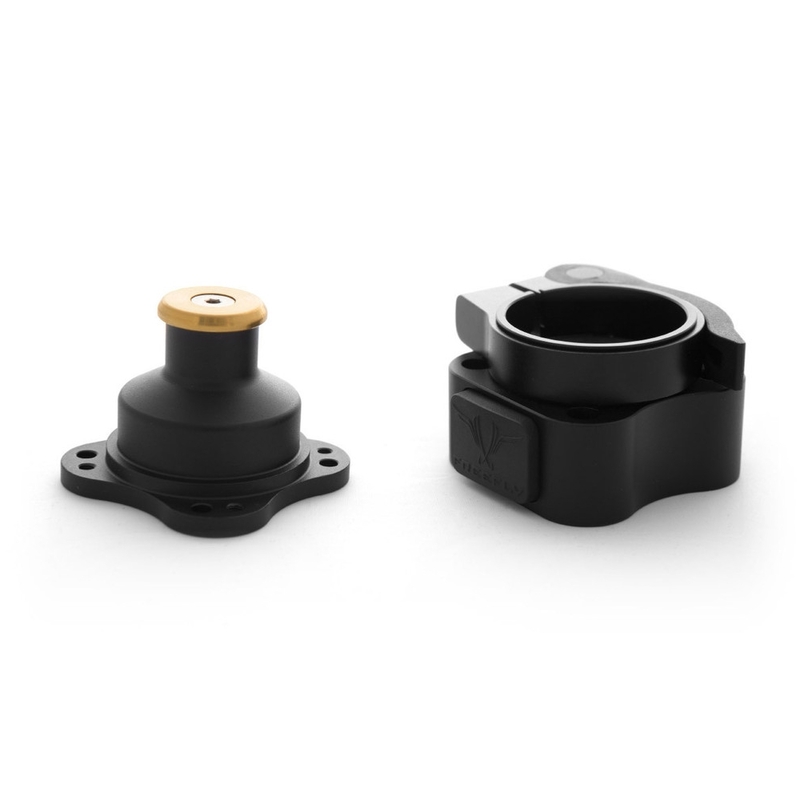 Just bought one to install on my Cinestar and some (Toads - Male Adapters) to install on my MoVI grip and RC camera car. At first I tough... This is really an expensive quick release but after installing it and seeing the quality of it I changed my mind. That thing has double locks, you have to unlock a lever first then press 2 buttons to release it - very safe, and it's very strong also, you can install heavy gear under it without any problems. I'm really very happy with it!! This is a great item and is very secure. It is quite spendy for what it is, but I suppose that is the cost of R&D. It does add a bit of height to the rig which causes a bit of an issue when mounting under the DJI S1000. But With some small modifications It works great. A must have if switching between handheld and aerial.